Los seres humanos tenemos habilidades cognitivas primarias y secundarias. Entre las primarias estaría el lenguaje, el cual, tal como defiende Pinker, aflora en nosotros como un instinto. Entre las secundarias tenemos por ejemplo la lectura y la escritura, asociadas al lenguaje pero que hemos de aprender con esfuerzo. Todo el complejo y diverso entramado cultural y tecnológico de las sociedades modernas se asienta sobre esas habilidades secundarias y sobre la clase de inteligencia flexible y fluida que hace posible su desarrollo. 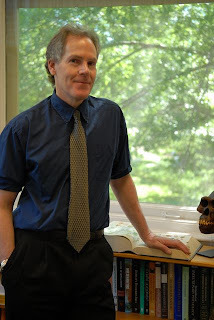 David C. Geary, Psicólogo del Desarrollo, especializado en el desarrollo cognitivo y particularmente interesado en cómo aprendemos las matemáticas, proponía hace años esta división entre capacidades cognitivas evolucionadas y adquiridas. Las primeras se adquieren con facilidad y de forma amena, mientras que las segundas requieren trabajo. En lo referente a las matemáticas disponemos de una capacidad innata para contar pequeñas cantidades y estimar tamaños relativos de diferentes conjuntos. Tanto eso como el propio lenguaje tienen hondas raíces evolutivas. Pero la matemática, la lógica y la literatura requieren una formación prolongada e intensa. El cerebro humano ha evolucionado de tal forma que ha dado origen a nuestra mente, tal como la experimentamos de forma subjetiva. En ella se entremezclan lenguaje, emociones, cálculo racional, intuiciones, esperanzas, recuerdos....dando como resultado algo que no parece existir, al menos de manera tan depurada, en ninguna otra especie de las que pueblan este planeta. Explicar esa mente de conexiones tan intrincadas, en la que se dan cita millones de años de evolución y retos cognitivos impuestos por un entorno transformado por la cultura, es una tarea titánica. 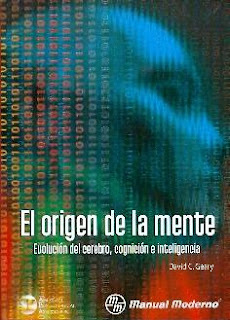 David C. Geary se ha propuesto trasladarnos sus conocimientos e hipótesis en un libro fundamental titulado El Origen de la Mente, que ha sido afortunadamente traducido al castellano por la Editorial Mejicana El Manual Moderno. En él empieza tratando la selección natural y la sexual, enfatizando la evolución de los homínidos y las competencias cognitivas y sociales que estos desarrollaron para adaptarse a las presiones ecológicas que tuvieron. Después aborda la cuestión de qué cambios se dieron y se dan en el cerebro humano a lo largo de la filogenia y la ontogenia, para derivar en su hipótesis sobre la modularidad de la mente humana, que no casa particularmente con ninguna perspectiva nativista ni ambientalista, pero que no se pretende de un epigenetismo ambiguo. Disponemos, según el autor, de unos sistemas modulares útiles en situaciones ecológicas y sociales invariables, así como de otros más flexibles para hacer frente a retos nuevos. 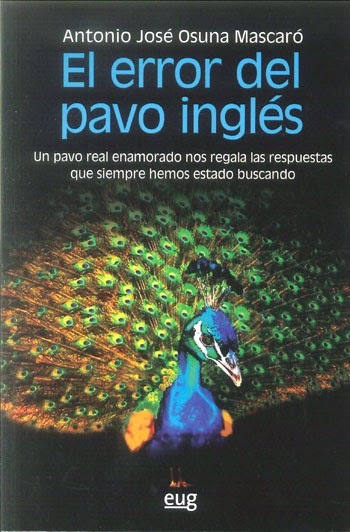 Gracias a Elena Gaviria por ayudarme con las traducciones e intercambiar conmigo alguna información sobre este gran científico. 1 .- What do we have in common with other primates, in what aspects are we unique? Well, that depends on which primate species you mean. Overall, though, our sociality makes us similar to most other primates. The more interesting issues are our uniqueness and why. Among other traits, our brains are at least 3 times the size of our closest relatives; our developmental period is about twice as long; men often invest heavily in children; we have families and can have long-term bonds between spouses (this varies across cultures though); women have concealed (more or less) ovulation and menopause; we create sophisticated cultures and pass information across generations. 2 .-In your book on the evolution of mind, you reject both the idea of a strictly modular brain and that of a brain with only general skills. How are genes expressed in the developing brain to mold the human mind? What is innate and what is environmentally determined in our capabilities and qualities (personality, intelligence, emotions, sociability, ... etc)? I think the human brain is a mix of what I call soft modules - there are inherent constraints on the types of information they process but they are modifiable within these constraints - and evolved systems that can act on and modify these modules or link them together in unique ways. This is general fluid intelligence. So, we have innate attentional and cognitive biases and underlying brain systems that allow us to process faces, gestures, natural biological motion, among many other competencies. We also have the ability to learn to discriminate one person from another, collect knowledge about their personalities, likes, dislikes, how they think and so forth. The constraints implicitly direct our attention to what is important in our world - or at least was important in the world in which the systems evolved - and result in core categories of knowledge organized around people, other species used as food and medicine, and the physical world (e.g., for constructing shelter, defining a hunting range). But, social dynamics and the ecologies in which humans live are not entirely predictable. This variation across generations and within lifetimes sets a premium on flexibility, the potential for our soft modules to be modified. We all process faces - an inherent system - but we all recognize different faces because we have been exposed to different people. This plasticity is evolved too. 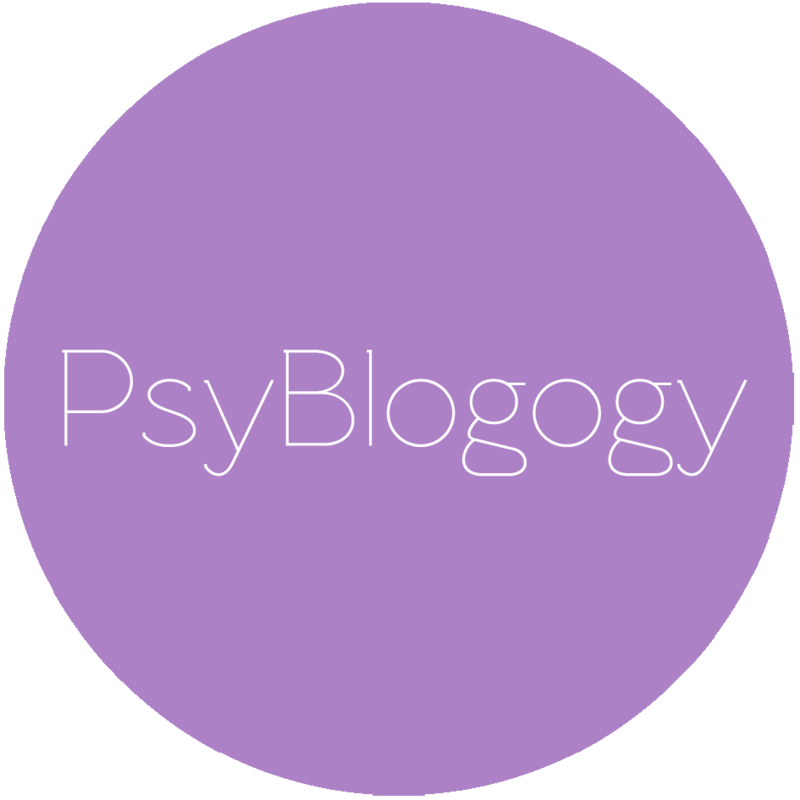 This plasticity, again with constraints, is also found in our personalities and emotional sensitivity. I lay out a theory of how all of this works and how it is related to intelligence and the modern world in my book. It is all well and fine to say these are a mix of biology and experience, but progress depends on our understanding of how this mix occurs and why it may occur to differing degrees in different people. 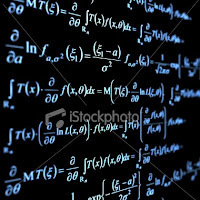 3 .- How are mathematics processed in the brain? What role does language play in it? Do not we measure, in general, more approximately than accurately? Mathematics is a large scientific field and much of it must be taught in schools. The more biologically-based abilities appear to include a sense (approximate) of magnitude and quantity, use of a few number words for counting small sets, and an intuitive sense of addition and subtraction. Number words are one of the early language influences, but extent of these words varies across cultures, and probably would not extend beyond three without some formal or informal education (e.g., parents teaching their children number words). 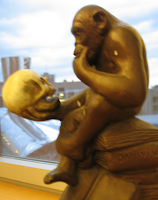 4 .- What social and ecological pressures do you think are on the basis of an increased brain along the hominization? Are our consciousness and our intelligence the result of a social Machiavellianism, of a physical environment requiring new skills, of both things, or otherwise? Might sexual selection, apart from natural selection, have played a significant role in enhancing our cognitive abilities? I like Richard Alexander's model of ecological dominance followed by a ramping up of social competition. In other words, ecological pressures - finding food, shelter, avoiding predation - were relatively more important early in our evolution. As our ancestors became better at using tools, fire for cooking, and creating shelters, these pressures became less important. One consequence is reduced child mortality and population increases. The latter results in more rapid depletion of ecological resources per capita and thus more intense social competition for control of these resources. I believe our consciousness - awareness of one's self as a social being - evolved as a result of this social competition. I spell out a fairly detailed model of this in Origin of Mind. Intense social competition, including sexual selection (e.g., men's warfare and coalitional aggression), will create pressures for the evolution of a larger, more flexible, and sophisticated brain, as we see in humans but in different ways for women and men. I spell out some of these ways in my book Male, female, and will provide much greater detail and elaboration in the next edition (which is almost done). One of the more interesting things about people is that men and women are pretty similar in terms of fluid intelligence, but differ in some of the soft modules (e.g., face processing, processing of distance for navigation). 5. .- What role do you attribute to language in consciousness and self-consciousness? Language is helpful in that it allows us to label ourselves (e.g., I am shy, confident...) and describe our experiences, but self awareness and consciousness appear to engage different areas of the brain than does language. 6 .- Is intelligence something reducible to a coefficient (g)? Do you think there are, as Gardner postulated, multiple intelligences as different ways of biological adaptation generating diversity within the species? General fluid intelligence - the ability to focus attention, inhibit distractions, and deal with multiple pieces of information in logical ways - is important for coping with and learning about evolutionarily novel things, as in much of modern-day mathematics. 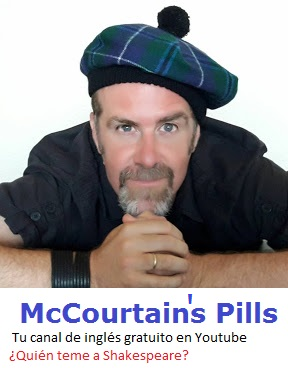 As I noted, we also have a system of soft modules that make us intelligent in other ways; e.g., in our intuitions about and ability to get along with other people. As societies become more complex and the knowledge base more remote from the world of our ancestors, however, fluid intelligence becomes more important. 7 .- Is the human mind ready for the challenges imposed by a society as complex as the one we have created? Do our minds not keep behaviour and understanding patterns that were adaptive in the evolutionary past but today can be detrimental for coexistence and survival? Some minds are more ready than others. Those fortunate enough to have comparatively high levels of fluid intelligence can adapt more easily than others can. These brighter minds can also create innovations, such as the internet, that make life easier for the rest of us. Technologies become more user friendly - that is, smart people design them better - as their interfaces become more similar to how humans naturally process and think about information. Sure, the over abundance of food in modern societies makes staying at a healthy weight and staying fit more difficult. If we had to spend five hours/day hunting or gathering, we'd all be healthier, though less productive at work. Sitting in classrooms and learning about things that our ancestors never dreamed of is difficult too, but necessary for living in the modern world. 8 .- What significance do you think culture has in our thinking? Culture is a shared system of beliefs and ideas that is passed from one generation to the next. These ideologies promote widespread cooperation and allows us to create a division of labor, specialize and thus get better at what we do, among other things. Without the cultural innovation of schools, we would not be able to communicate through reading and writing. Gaining a better understanding of the interface between evolved biases and cultural innovation is one of the next great challenges for the next generation of evolutionary psychologists. 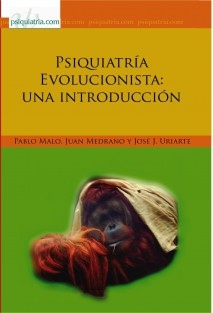 1.-¿Qué tenemos en común con los otros primates, en qué somos únicos? Bueno, eso depende de a qué especies de primates te refieras. En general, sin embargo, nuestra sociabilidad nos hace similares a la mayoría de los otros primates. Las cuestiones más interesantes son las de nuestra singularidad y su por qué. Entre otros rasgos, nuestros cerebros tienen, al menos, 3 veces el tamaño del cerebro de nuestros parientes más cercanos; nuestro período de desarrollo es aproximadamente el doble de largo; los hombres a menudo invierten fuertemente en los niños; tenemos familias y puede haber relaciones a largo plazo entre los cónyuges (aunque esto varía según las culturas); las mujeres han ocultado (más o menos) la ovulación y la menopausia; hemos creado sofisticadas culturas y transmitimos información a través de las generaciones. 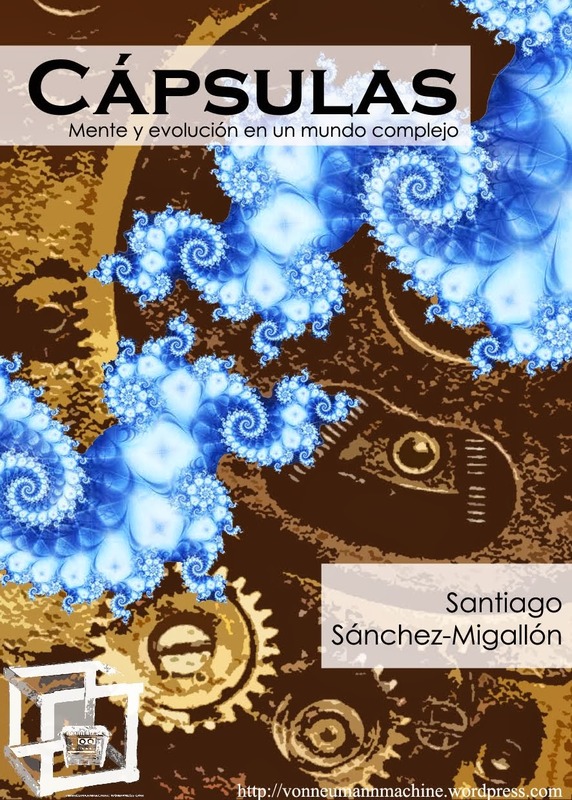 2.- Usted rechaza, en su libro sobre la evolución de la mente, la idea de un cerebro estrictamente modular, pero tampoco se deja seducir por la idea de un cerebro con capacidades generales. ¿Cómo se expresan los genes en el desarrollo del cerebro para moldear la mente humana? ¿qué es más innato y qué más ambiental en nuestras capacidades y cualidades (personalidad, inteligencia, emotividad, sociabilidad, ...etc)? Creo que el cerebro humano es una mezcla de lo que yo llamo módulos laxos-con limitaciones inherentes a los tipos de información que procesan, pero modificables dentro de estos límites- y sistemas evolucionados que pueden actuar sobre estos módulos y modificarlos o unirlos en formas únicas. Esta es la inteligencia fluida general. Por lo tanto, tenemos predisposiciones atencionales y cognitivas innatas y sistemas cerebrales subyacentes que nos permiten procesar los rostros, los gestos, el movimiento biológico natural, entre muchas otras cosas. También tenemos la capacidad de aprender a discriminar a una persona de otra, reunir conocimiento acerca de sus personalidades, gustos, aversiones, cómo piensan y así sucesivamente. Las limitaciones implícitamente dirigen nuestra atención a lo que es importante en nuestro mundo - o al menos a aquello que lo era en el mundo en el que los sistemas evolucionaron – y resultan en categorías básicas de conocimientos organizados sobre las personas, otras especies utilizadas como alimento y medicina, y el mundo físico (por ejemplo, para construir un refugio, definir un territorio de caza). Sin embargo, las dinámicas sociales y ecológicas en la que los seres humanos viven sus vidas no son enteramente predecibles. Esta variación a través de las generaciones y durante la vida de cada individuo, premia la flexibilidad, el potencial de nuestros módulos laxos de ser modificados. Todos procesamos rostros -un sistema inherente-, pero reconocemos diferentes caras porque hemos estado expuestos a diferentes personas. Esta plasticidad es también evolucionada. Esta plasticidad, de nuevo con limitaciones, se encuentra también en nuestra personalidad y sensibilidad emocional. En mi libro propongo una teoría de cómo funciona todo esto y cómo se relaciona con la inteligencia y el mundo moderno. Está muy bien y es correcto decir que se trata de una combinación de biología y experiencia, pero el progreso depende de nuestra comprensión de cómo se produce esta mezcla y la razón por la que se puede producir en diferentes personas en diferentes grados. 3.- ¿Cómo se procesan las matemáticas en el cerebro? ¿Qué papel juega el lenguaje en ellas? ¿No medimos, en general, más por aproximación que de forma exacta? Las matemáticas son un gran campo científico y gran parte de ellas debe enseñarse en el colegio. Las habilidades más sustentadas en la biología parecen incluir un sentido (aproximado) de la magnitud y la cantidad, el uso de algunas pocas palabras para contar conjuntos pequeños, y un sentido intuitivo de suma y resta. Las palabras para los números son una de las más tempranas influencias del lenguaje, pero la extensión de estas varía de unas culturas a otras, y probablemente no se extienden más allá del tres sin alguna educación formal o informal (por ejemplo, cuando los padres enseñan a sus hijos a decir los números). 4.- ¿Qué presiones ecológicas y sociales diría que están en la base del aumento de cerebro a lo largo de la hominización? ¿Son nuestra consciencia y nuestra inteligencia un resultado del maquiavelismo social, de un contexto natural que exigía nuevas habilidades, de ambas cosas o de alguna otra? ¿Pudo la selección sexual, aparte de la natural, jugar algún papel relevante en el aumento de nuestras capacidades cognitivas? Me gusta el modelo de Richard Alexander de un dominio ecológico seguido de un ascenso progresivo de la competición social. En otras palabras, las presiones ecológicas -búsqueda de comida, refugio, evitar la depredación- fueron relativamente más importantes a principios de nuestra evolución. Según nuestros antepasados fueron siendo mejores en el uso de herramientas, del fuego para cocinar, y la creación de refugios, estas presiones se volvieron menos importantes. Una de las consecuencias es la reducción de la mortalidad infantil y el crecimiento de la población. Esto último se traduce en un más rápido agotamiento de los recursos ecológicos per cápita y una más intensa competencia social por su control. Creo que nuestra consciencia -consciencia de uno mismo como ser social- evolucionó como resultado de esta competencia social. He expuesto un modelo bastante detallado de esto en “El Origen de la Mente”. La intensa competencia social, incluida la selección sexual (por ejemplo, la guerra de los hombres y las agresiones en coalición), creará presiones en favor de la evolución de un más grande, flexible y sofisticado cerebro, como vemos en los seres humanos, pero de diferentes formas para mujeres que para hombres. Expongo algunas de estas formas en el libro “Hombres, Mujeres” y proporcionaré mucho mayor detalle y elaboración en la próxima edición (que está casi terminada). Una de las cosas más interesantes de las personas es que los hombres y las mujeres son bastante similares en términos de inteligencia fluida, pero difieren en algunos de sus módulos laxos (por ejemplo, el procesamiento de rostros o la evaluación de distancias en la navegación). 5.- ¿Qué papel atribuye al lenguaje en la consciencia y en la autoconciencia? El lenguaje resulta útil en la medida en que nos permite etiquetarnos a nosotros mismos (por ejemplo, soy tímido, seguro de mí mismo...) y describir nuestras experiencias, pero en la consciencia y la autoconsciencia parecen participar áreas del cerebro diferentes a la que produce el lenguaje. 6.- ¿Es la inteligencia algo reducible a un coeficiente (g)? ¿cree que existen, como postuló Gardner, inteligencias múltiples como formas distintas de adaptación biológica generadoras de diversidad dentro de la especie? La inteligencia general fluida- la capacidad de centrar la atención, inhibirse de las distracciones, y tratar con múltiples piezas de información de forma lógica - es importante para hacer frente a (y aprender de) las cosas evolutivamente nuevas, como son en gran parte las matemáticas modernas. Como ya he señalado, también tenemos un sistema de módulos laxos que nos hacen inteligentes de otras maneras, por ejemplo, en nuestras intuiciones sobre los demás y la habilidad para tratar con ellos. A medida que las sociedades se hacen más complejas y la base del conocimiento está más lejos de la del mundo de nuestros antepasados, no obstante, la inteligencia fluida se hace más importante. 7.- ¿Está la mente humana preparada para los retos que impone una sociedad tan compleja como la que hemos creado? ¿no conserva nuestra mente patrones de comportamiento y entendimiento que fueron adaptativos en el pasado evolutivo y que hoy pueden ser negativos para la convivencia y la supervivencia? Algunas mentes están más preparadas que otras. Aquellos que sean lo suficientemente afortunados para tener niveles comparativamente altos de inteligencia fluida pueden adaptarse más fácilmente que los demás. Estas mentes más brillantes pueden asimismo crear innovaciones, como internet, que hacen la vida más fácil para el resto de nosotros. Las tecnologías son cada vez más fáciles de utilizar -esto es, la gente inteligente las diseña mejor- porque sus interfaces son cada vez más similares a cómo los seres humanos procesan y piensan la información. Claro, la sobreabundancia de alimentos en las sociedades modernas hace más difícil mantenerse en forma y con un peso saludable. Si tuviéramos que pasar cinco horas al día de caza o recolectando, estaríamos todos más sanos, aunque seríamos menos productivos en el trabajo. Sentarse en las aulas y aprender cosas que nuestros antepasados ni siquiera soñaron es también difícil, pero necesario para vivir en el mundo moderno. 8.- ¿Qué importancia atribuye a la cultura en nuestro pensamiento? La cultura es un sistema compartido de creencias e ideas que se transmite de una generación a la siguiente. Estas ideologías promueven una amplia cooperación y nos permiten crear una división del trabajo, especializarnos y, por tanto, mejorar en lo que hacemos, entre otras cosas. Sin la innovación cultural de las escuelas, no nos sería posible comunicarnos a través de la lectura y la escritura. Lograr una mejor comprensión de la interrelación entre las predisposiciones evolucionadas y la innovación cultural es uno de los próximos grandes retos para la siguiente generación de psicólogos evolucionistas. ¿A que os referís con lo 'moderno' de lo que habláis en el 'post' del gnosticismo en [Políticamente Incorrecto] o en otros ‘post’ diseminados por vuestra red de ‘blogs’? Pregúntale a tu bisabuela que piensa de Internet o de tener un ‘blog’ para exponer su ideas. Lo primero que te diría es : ¿De que ideas me estás hablando, hijo? Para, acto seguido, continuar diciéndote que esas 'modernidades' son para vosotros los jóvenes. La modernidad a la que tanto atacáis y la ingrata progresía de la que renegáis, es la que os permite vociferar y exponer vuestras ideas (por muy &$%*@# que sean) a través de este 'altoparlante' llamado Internet, o la que os permite hablar por el móvil con cualquiera, o la que posibilita al amigo germánico (no se si sois la misma entidad) permitirse un viajecito por el gran cañón, o escuchar música de cantantes que, con toda seguridad, eliminarían sus enlaces de vuestras páginas si supieran de las opiniones que alardeáis, o enlazar entrevistas de científicos 'modernos' que hablan de conceptos que rompen con toda la parafernalia conservacionista que os acompaña y que renegarían de los enlaces que habéis hecho, solicitando una reparación moral y quien sabe si económica también. 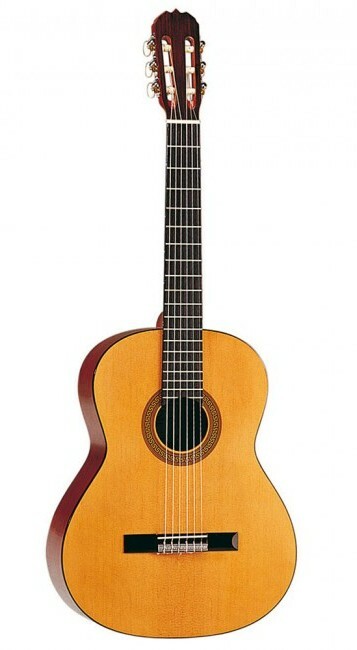 Tenéis suerte. Con toda seguridad, habríais sido pasto de las llamas si hubierais compartido época con Torquemada : el nunca os habría querido tener a su lado, acusándoos de 'modernos', herejes y estrafalarios. Pero claro eso ya es historia y lo que yo digo solo es una especulación. Aunque gracias a la modernidad, no acabareis con vuestros huesos en una fétida mazmorra camino de la hoguera 'purificadora' que acaba con toda modernización posible. Incluso seria probable que vuestro bien amado Alexander Solzhenitsyn se alejara de vosotros, dado que en cualquier caso sus ideas representaban la modernidad respecto al vetusto régimen soviético. Notable es la visión que publicitáis en un post que dice “Ser conservador y ser darwinista no sólo no son cosas que se excluyan, sino que casan muy bien. [Arnhart, Larry]”, lo que no deja de ser una visión ‘moderna’ y ‘progresista’ del darwinismo y del conservadurismo. ¿A que estáis jugando? De que sirve tanta ‘cultura’ si luego hacéis gala de la más ilustre ignorancia aferrándoos a un pasado en el que no creéis y del cual solo tenéis el recuerdo que cuatro nostálgicos y un puñado de libros que os han hecho llegar ideas mefistofélicas de algo que en su momento fue la modernidad y que luego quedo desbancado por su propia evolución. Y recordad lo que dijo el ‘profeta’ : renovarse o morir. De morir no voy a hablar, y renovarse significa aceptar la modernización y los progresos, que son la base de la progresía. Aunque eso no implica aceptar todas las estupideces que aparecen bajo el sello de la modernidad, que, en honor a la verdad, he de reconocer que abundan. Francisco, me parece estupendo todo lo que dices, pero como comentario a este post no viene a cuento, en serio.